for which purpose we have a cutting room fully equipped to meet current market needs. With pigs born and raised in Navarra and its adjoining provinces, we can guarantee the highest quality of pork, as well as its monitoring and control from rearing to meat cutting. 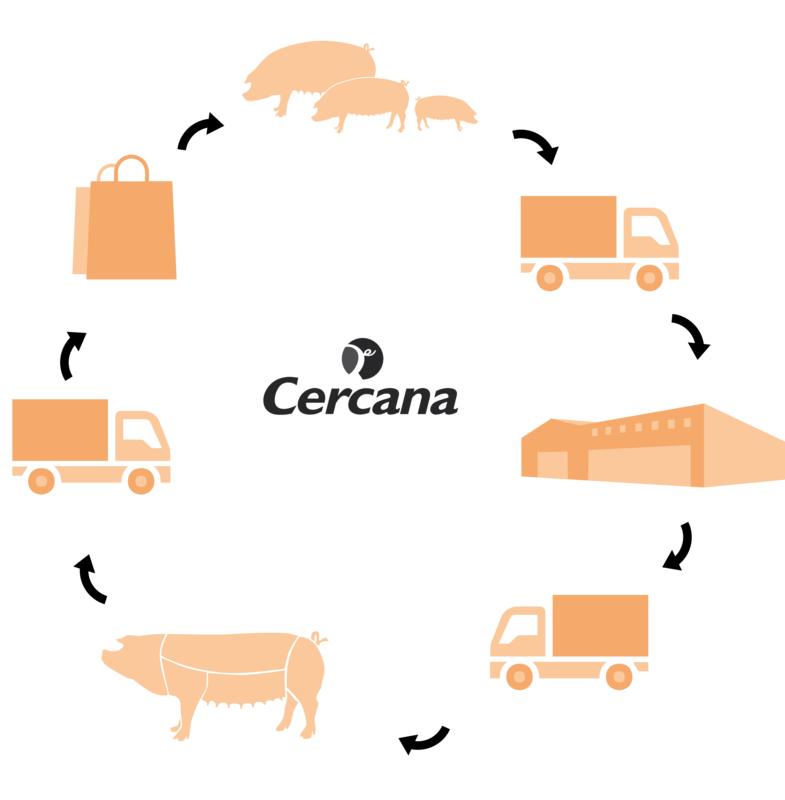 CERCANA is a brand of pork owned by FENAPOR (NAVARRAN PORK FEDERATION).born with the aim of offering consumers a brand of guaranteed premium quality pork meat from animals raised exclusively on farms in Navarra.